Quality is critical when buying Gravity Fed Frozen Custard Machines. When you’re promoting the best ice cream in town, you want to be able to deliver on your promise. With gravity fed frozen custard machines from Lancaster Manufacturing, there’s no risk of letting people down. 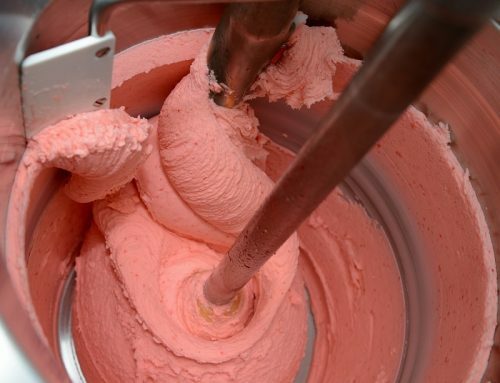 They are designed to produce the smoothest and most luxurious ice cream. 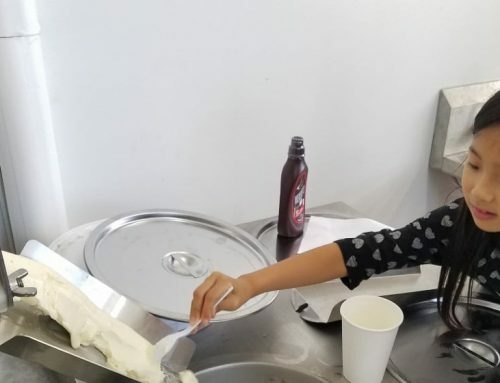 Investing in a first-class frozen custard machine is always a good idea. We cater for a wide range of facilities and retailers. Therefore, we have equipment and machinery to suit stores of all sizes. 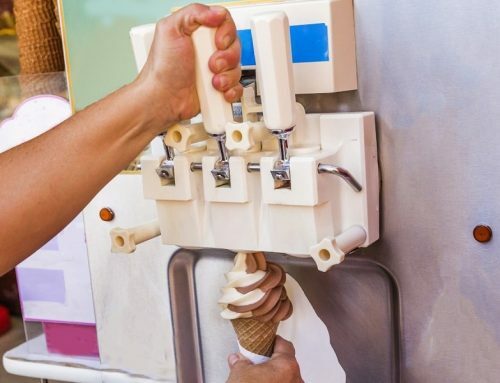 Whether you have a bijou ice cream parlor or a giant unit, we have the perfect frozen custard machine for you. We have space-saving counter top models for compact stores. Additionally, we have floor models for larger areas. We recommend counter top units for restaurants, cafes and coffee shops that plan to offer frozen desserts or specialty coffees that contain ice cream. These models are ideally suited for relatively low output. If frozen custard is the star attraction, or you’re hoping to offer an array of ice cream flavors, the floor model is an excellent choice. Size is a factor for most people when shopping for a frozen custard machine, but you may also wish to explore products with different barrel numbers. We provide single, double, and triple-barreled machines to cater for a broad spectrum of requirements and preferences. If you plan to serve ice cream as an option on a dessert menu, for example, we recommend a single barrel. 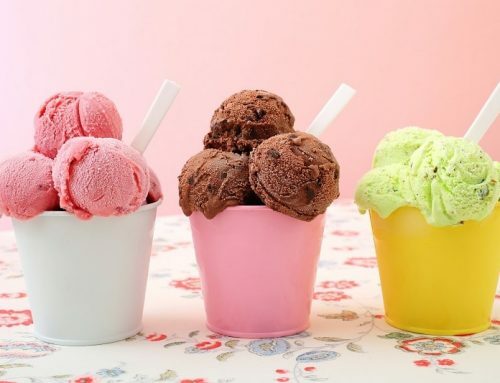 If ice cream is the focal point of your menu and you plan to produce a large volume and offer multiple varieties, a double or triple barrel is a better option for you. You can also choose from new and used models. 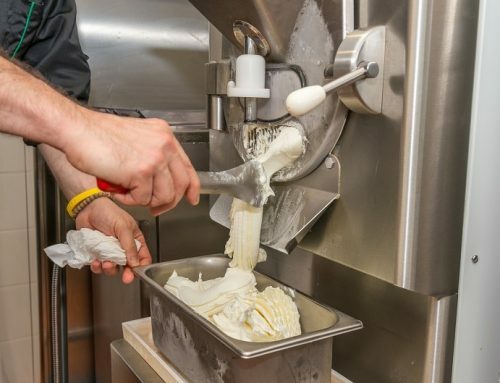 Our gravity fed frozen custard machines were designed and developed by our founder Tony Carey. Tony has extensive knowledge about the production of frozen custard. He used his experience to design machines that produce the finest quality ice cream. Frozen dessert machines commonly encounter two issues that prevent them from creating smooth, rich ice cream. The first is the presence of large ice crystals. Large crystals make the ice cream grainy and granular. Secondly, the addition of too much air causes flavor dilution. Our machines overcome these obstacles. They will provide a product that is packed with flavor and smooth as silk. We recognize that there are some great brands out there. However, we’re really proud of our gravity fed frozen custard machines. We’re confident you’ll be bowled over by the quality of the machine, and most importantly, the finished product. If you’re looking for dense, delicious, decadent ice cream, look no further! You can do this by providing information on our contact form or give Tony a call. He would enjoy speaking with you!